Professor Mehrani received her Bachelor's of Applied Science from the Chemical Engineering Department at the University of British Columbia in 2000. She then pursued her graduate studies at the University of British Columbia, Fluidization Research Group, where she studied characterization of electrostatic charges in gas-solid fluidized beds in collaboration with NOVA Chemicals. 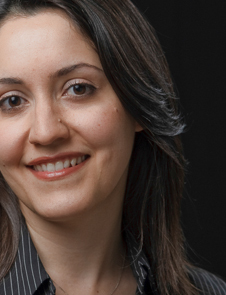 Upon completing her PhD in 2005, Professor Mehrani worked at the National Research Council (Ottawa) and SNC-Lavalin Engineering, petroleum division (Calgary). She later joined the University of Ottawa as an assistant professor in 2006. Professor Mehrani's research interests focus on multiphase reactor engineering with focus on fluidized beds. Current research areas include: Electrostatic charge generation in gas-solid processes (e.g., gas-solid fluidized beds); Biomass gasification; Biomass fast pyrolysis; and CO2 capture from post- and pre-combustion processes.